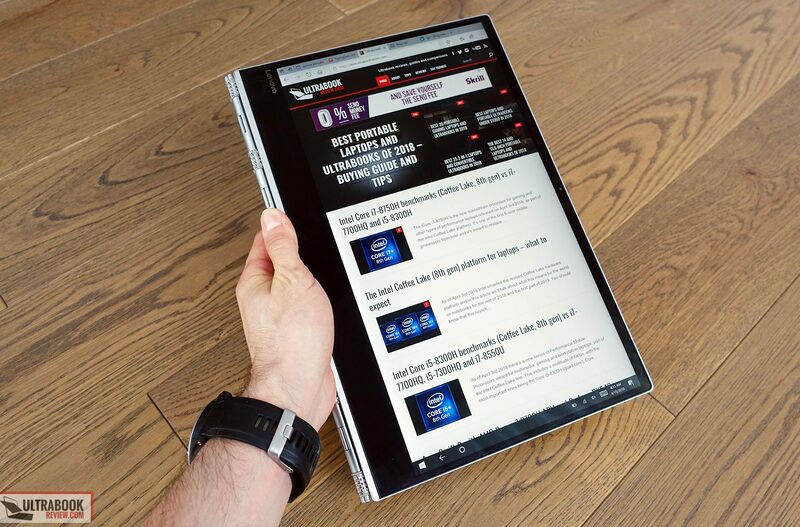 Summary: The Lenovo Yoga 920 is one of the most interesting convertible thin-and-lights you can find out there. 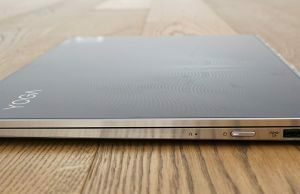 The solid build quality, dual TB3 ports, slightly bigger screen with Pen support, the hardware and especially the big battery are its main selling points, while the larger and heavier format, the performance limitations in demanding loads, as well as the typing experience (at least in my case) might be deal breakers for some of you. Read on for more details. The Lenovo Yoga 920 is one of the better convertible ultraportables available in stores as of the Spring of 2018, and we’ve talked about it in a previous article. 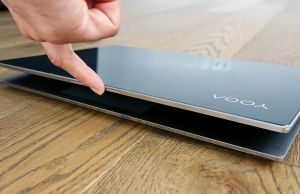 It’s very well built, it packs an excellent display with Pen support, a nice keyboard, as well as the latest hardware platform and a larger battery than what’s available on most other competitors. 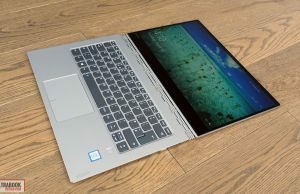 On top of that, the fact that it gets a slightly larger 13.9 inch screen, while alternatives like the HP Spectre X360 or Asus Zenbook Flip UX370 only get 13.3 inch displays, will also appeal to those of you that are looking for a slightly increased canvas, but with minor portability sacrifices. The standard Yoga 920 comes with a fully metallic construction, but Lenovo also offers a few designer editions with Gorilla Glass covers and design patterns to choose from, created in collaboration with Milan’s prestigious Istituto Europeo di Design. We have the Vibes version here, with the dark-blue dotted design, but there are three more options to choose from: Leggerezza, Focus and Rift, displayed in the picture below. 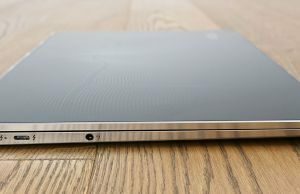 Design aside though, all the impressions gathered in this article apply to the entire Yoga 920 range, so if you’re interested in how this laptop feels and performs with daily use, this article is going to help. 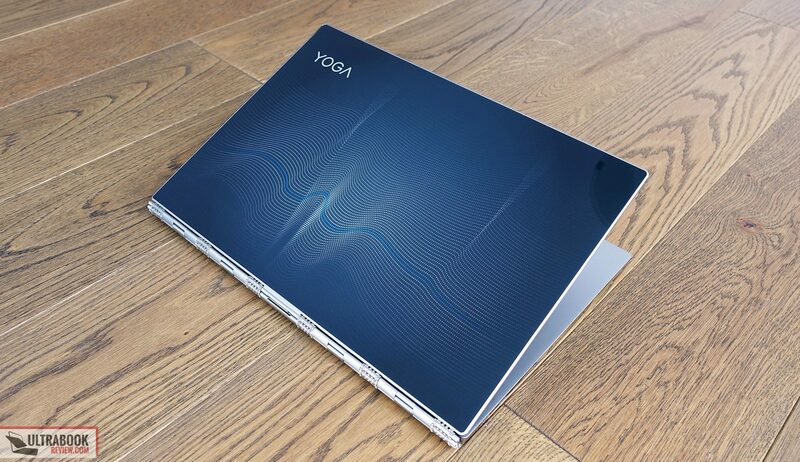 The Yoga 920 builds on its predecessor, the Yoga 910, with whom it shares most design lines and craftsmanship characteristics. 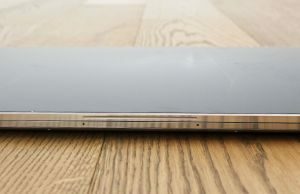 It gets the same sturdy metallic unibody construction, with the Glass lid cover for these particular designer versions, but otherwise a metallic hood as well. 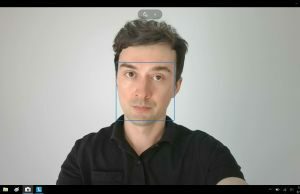 It also gets the same watchband hinge that allows to smoothly convert the screen to 360 degrees and adjust it at any angle you might want, something you can, for the most part, do with a single hand. 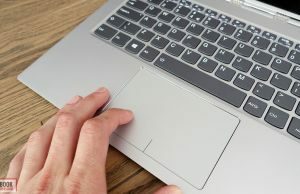 It could have been a little stiffer, as the screen changes position when grabbing and moving the laptop, but that didn’t bother me that much with daily use. 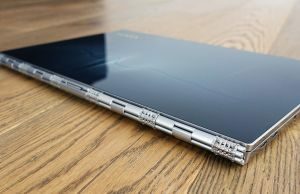 The 920 is also slim and tough, but the interior still gets a sharp edge that can bite into your wrists, especially when using the laptop in cramped places. You might also feel those edges when opening the lid. 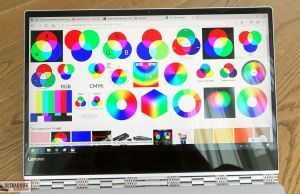 That aside, the Yoga 920 is comfortable to use. 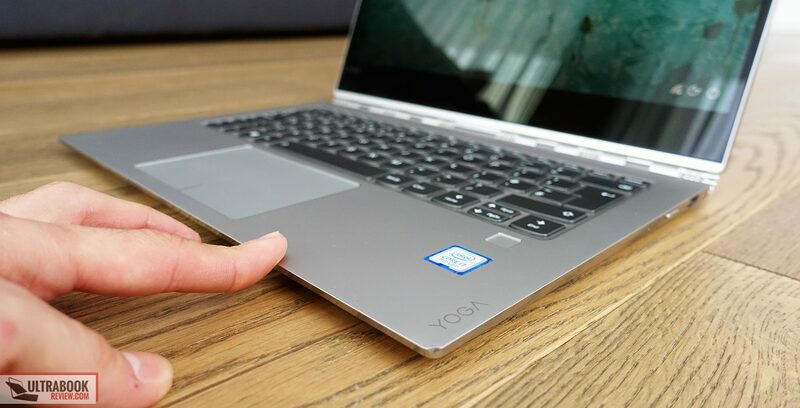 It gets a spacious trackpad and the screen sits a little higher than on most other ultraportables. 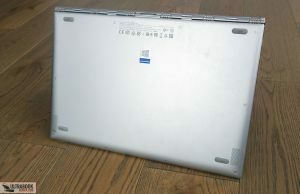 That however leads to a big bezel underneath, even if the bezels at the top and on the sides and narrow. 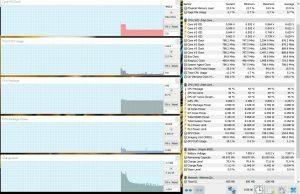 I only noticed it when having the computer in tent mode and it never bothered me while in notebook mode, when I actually enjoyed having the actual screen sitting a little higher. 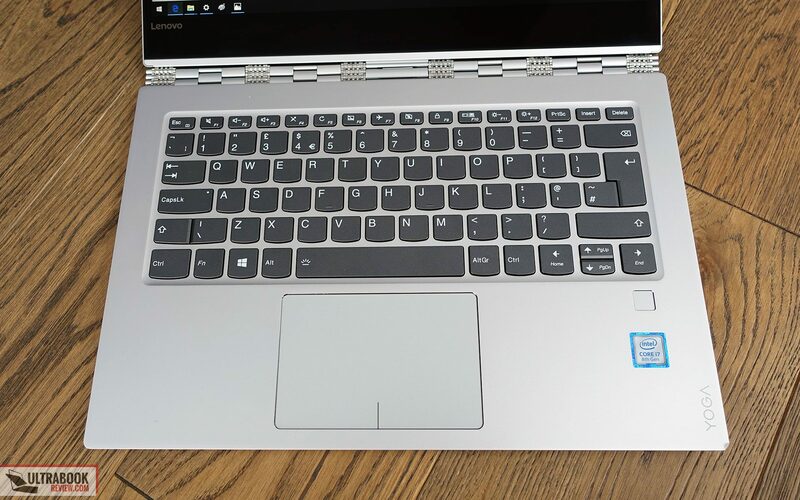 The IO is rather limited, but that’s a given with most ultra-thin laptops these days and at least Lenovo includes a full-size USB-A port on this unit, alongside the other two USB-C Thunderbolt 3 ports (with 4x PCIe lanes) used for charging and connecting peripherals. 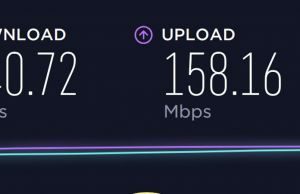 There are no adapters included on the pack, so you’ll have to buy them on the side in order to hook up an external monitor, unless you can do that directly via a Thunderbolt 3 cable. All in all, aside from those sharp interior edges and the big bezel beneath the screen, there’s little to complain about the Lenovo’s Yoga 920 build and design. 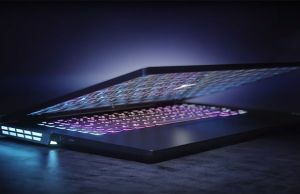 The graphics option for the lid are a selling point as well, allowing you to get a laptop that can stand out in a nice way. On the other hand, the Gorilla Glass cover is going to catch fingerprints and smudges easily, but at least it’s easier to wipe clean than a dark aluminum finishing. 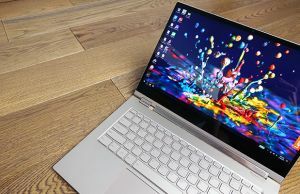 You should also keep in mind that the Lenovo Yoga 920 is a little larger and heavier than some of the alternatives, but it also packs a slightly larger screen and especially a bigger battery. And at 3.1 lbs, I’d say these are well worth the .3 to .7 of a pound of extra weight. 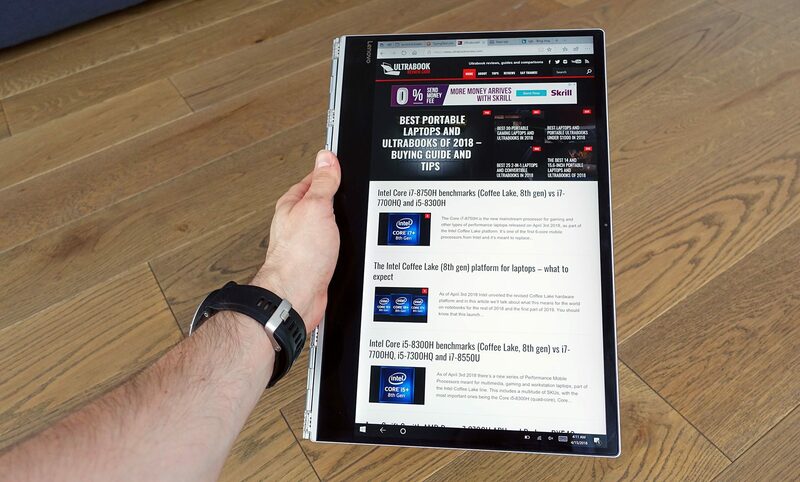 The Yoga 920 gets a 13.9 inch touchscreen with an UHD (3840 x 2160 px) IPS panel, that also includes a digitizer with Pen support (compatible with the Lenovo Active Pen 2, a Bluetooth Pen with 4096 levels of pressure sensitivity). 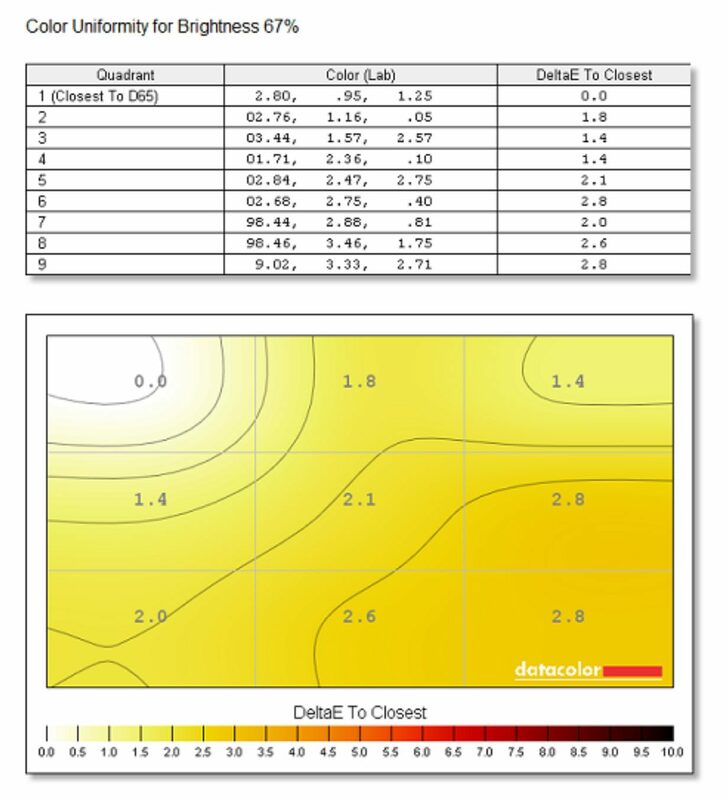 We didn’t get the Pen with our test unit, but you can find more about it from here. As far as the panel goes, it’s pretty good, with solid contrast and popping, vivid colors, but also a little dim. It will do fine as long as you keep the laptop indoors, but once you step into a brighter environment you’ll struggle to read things on the screen, even at maximum brightness, due to the average luminosity and the glary sheet of glass on top. 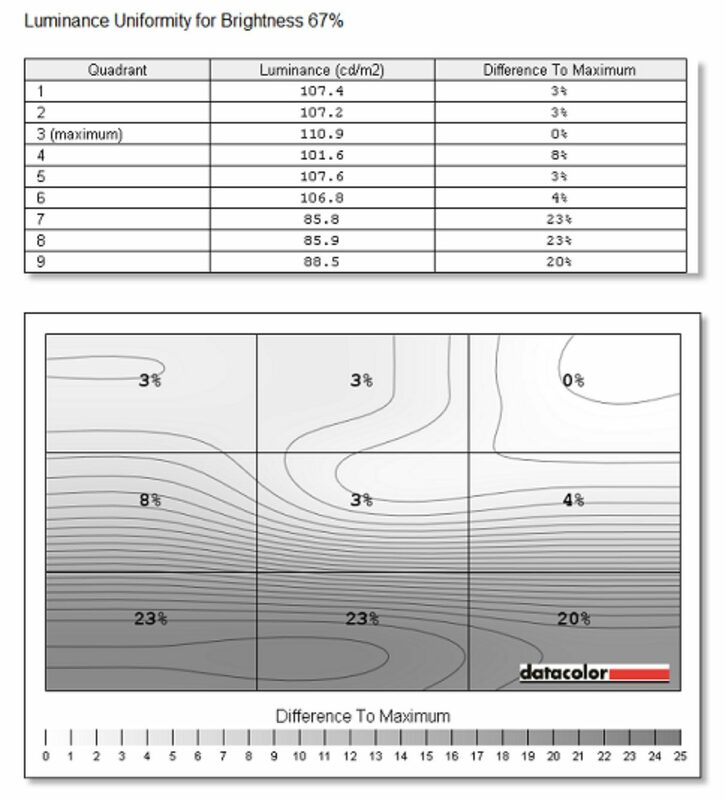 Average DeltaE: 1.76 uncalibrated, 1.63 calibrated. 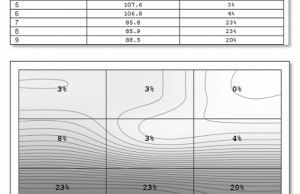 The panel is fairly well calibrated out of the box, but if you want to use the calibrated profile, it’s available over here. 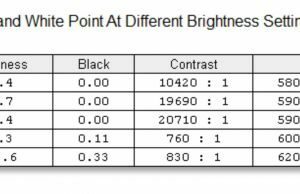 This aside, you should keep in mind that Lenovo also offers a FHD IPS panel on the lower end models, which is pretty good on its own, cheaper, more energy efficient and actually a little brighter (details in this review). 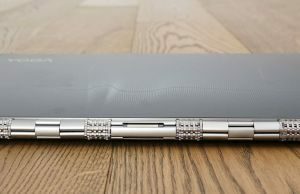 This one supports the Lenovo Active Pen 2 as well. 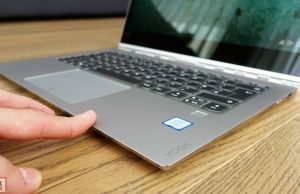 I remember I got along very well with the keyboard on the Lenovo Yoga 910, yet somehow I didn’t get the same experience with this one on the Yoga 920. 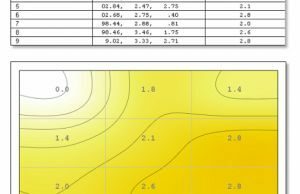 First of all, I got to test the European layout with the slightly different arrangement, and a significant chunk of my typing errors were caused by the small and not that responsive Left Shift. But I also feel the feedback is a little different, somehow, albeit I don’t have the 910 around anymore for a direct side by side comparison. Still, while I can’t tell precisely what I didn’t like about this keyboard, both my typing speed and my accuracy suffered on the 920. The keys have a fairly short stroke (1.4 mm), but that normally doesn’t bother me, as I’m used and actually enjoy even shorter-travel keys. 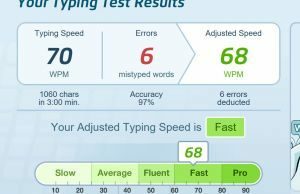 There’s just something that doesn’t fit my typing style with the feedback and the way the keys actuate, as I feel they require a firmer stroke than I’m used to and just don’t click that precisely with lighter hits. 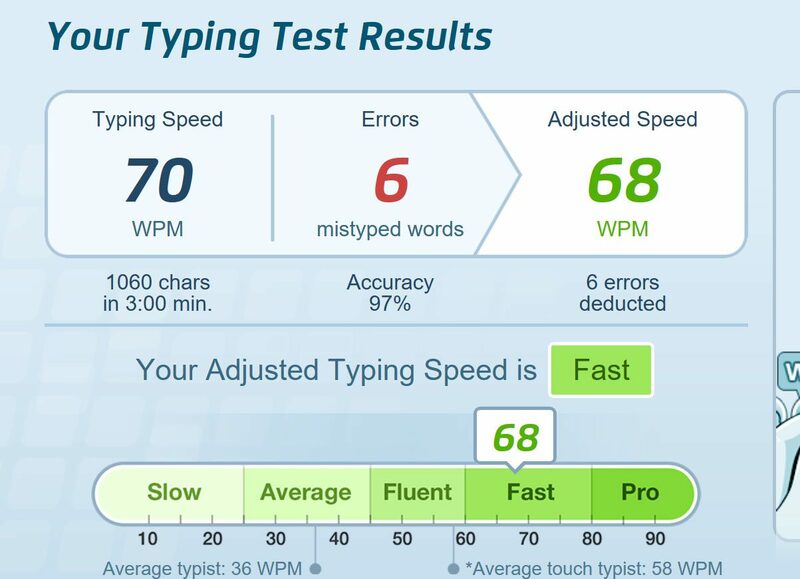 On the other hand, most other reviewers don’t complain about the typing experience, so perhaps it’s just me. 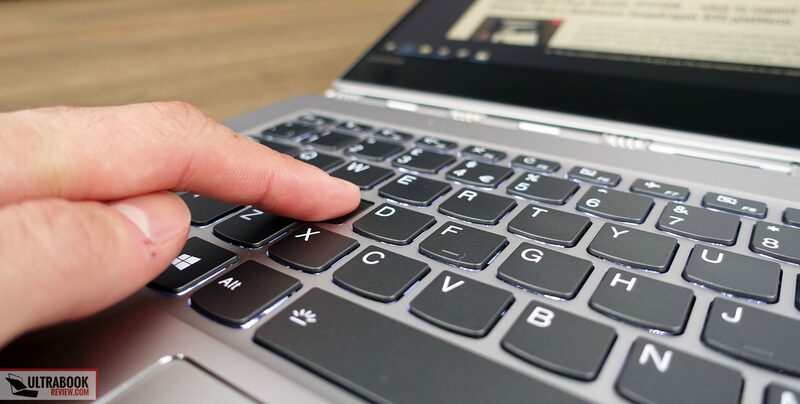 Overall, I reckon that if you’re a regular user, this keyboard should do fine for you, albeit I do advice you to give it a try in a store if possible. 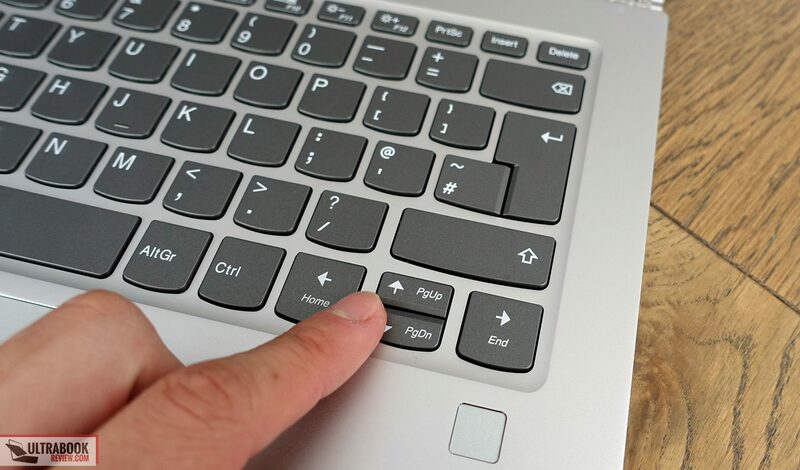 On the other hand, if you’re a heavy typist like I am, well, there are better options out there. 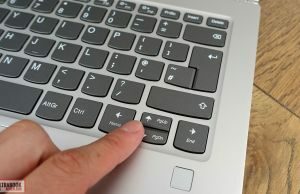 Before we jump to the trackpad, I do have to add that this keyboard is backlit, with two illumination options to choose from, and also fairly quiet. 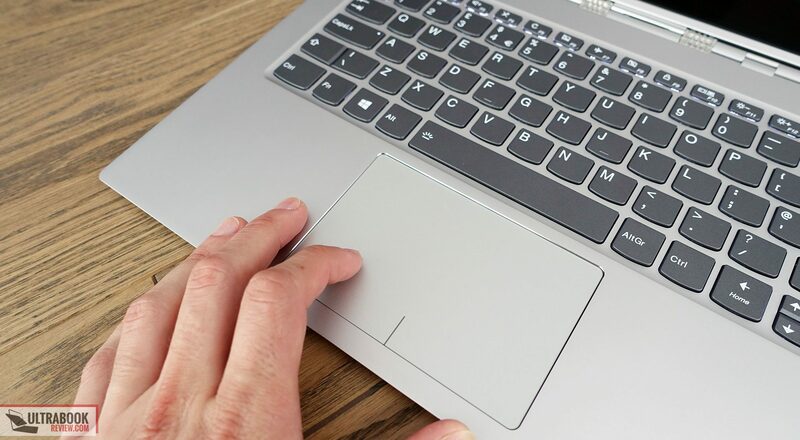 The clickpad is well sized, slightly indented into the palm-rest and smooth enough to allow a great everyday-use experience. 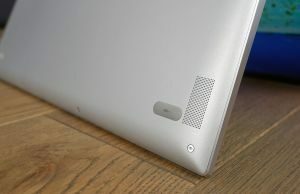 It’s a Synpatics surface with Precision drivers, so it also performs and tracks well swipes and gestures. On top of that, I’m mostly a tap person and harder taps don’t sound hollow or make any annoying rattle, like with other devices. The click buttons are nice as well, with a short travel, but responsive and quiet click. The Yoga 920 is available in a few different variants and we got to test one of the maxed out configurations, with a Core i7-85500U processor, 16 GB of RAM and a 512 GB NVMe SSD. 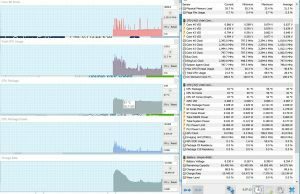 You can get a 1 TB SSD configuration from Lenovo, or you can upgrade the storage yourselves, albeit the Samsung PM951 unit included is one of the faster available. Getting inside the laptop is fairly easy, but you’ll have to get past the back panel that’s hold in place by a handful of Torx T10 screws. 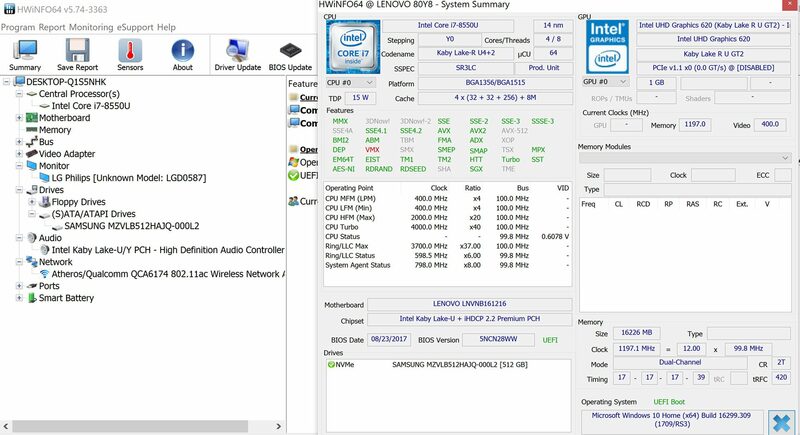 The CPU and RAM are soldered on the motherboard, so the only upgradeable parts at the SSD and the Wi-Fi module. 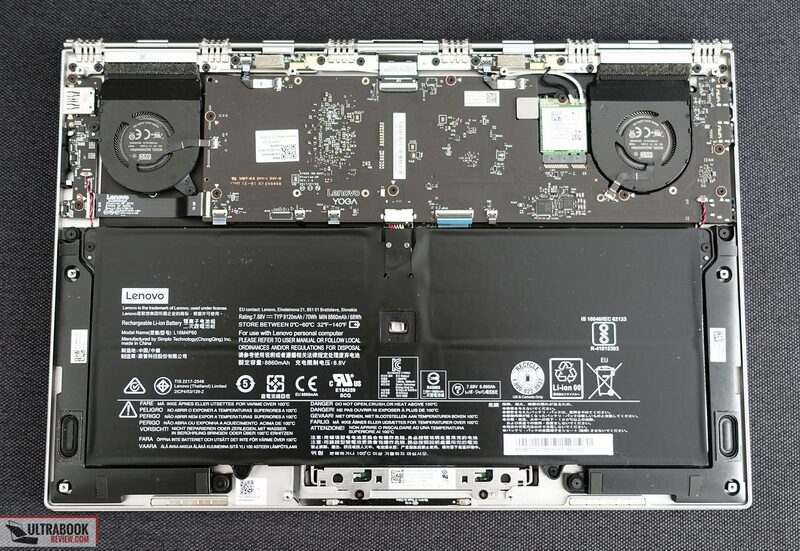 The SSD is hidden beneath the motherboard though, so is only accessible if you remove this one first. 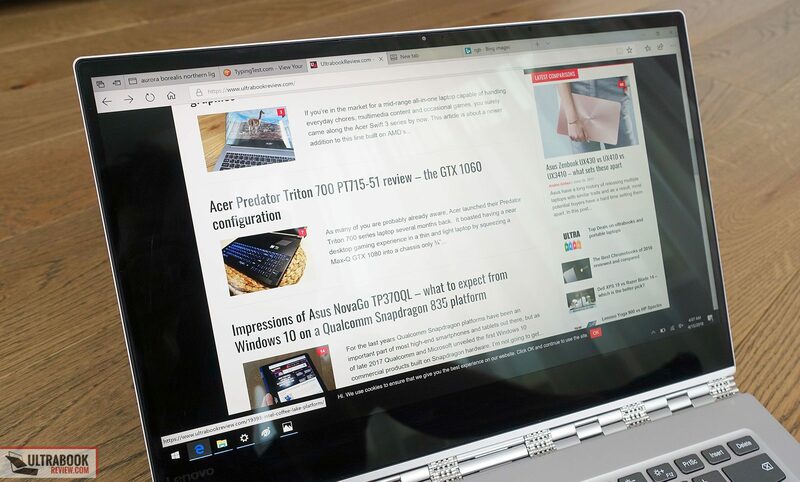 As far as performance goes, the Yoga 920 handles everyday tasks like browsing, multimedia content and multitasking really well, while keeping cool and for the most part, completely silent. 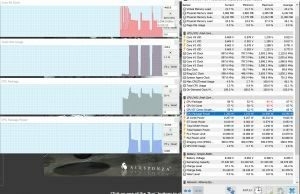 On the other hand, if you plan to edit photos/videos, run programming software or other kinds of applications that put a constant load on the CPU, expect it to perform OK, but not as well as some of the larger laptops built on the i7-8550 processor. 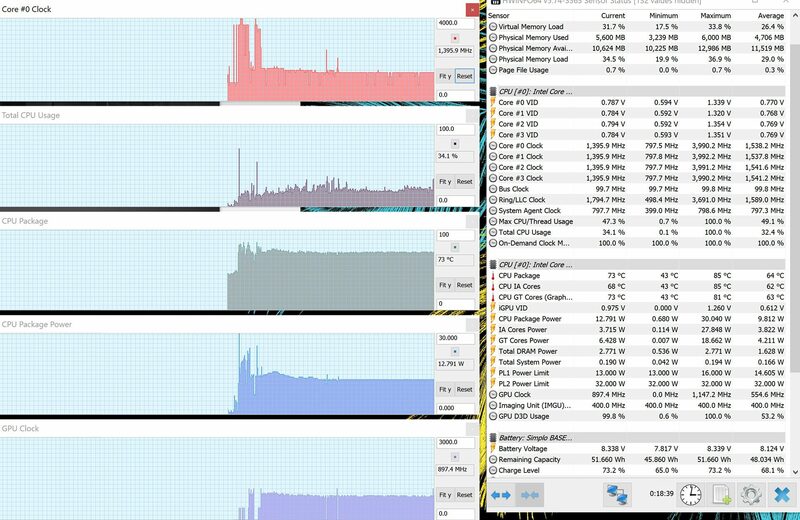 And that’s because the CPU drops to stock-speeds with demanding loads, and even beneath it. 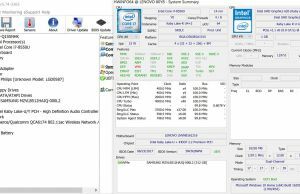 One of the main characteristic of the KabyLake-R i7-8550U quad-core CPU is its ability to Turbo up to 4.0 GHz, despite the fact that their core frequency is only 2.2 GHz. 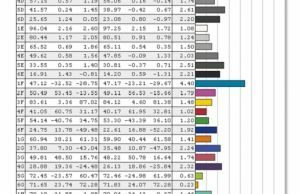 It cannot maintain the boost for long times in continuous loads, but some implementations are able to run an higher frequencies for a longer time, and others drop to stock frequencies or below in mere seconds after starting the demanding tasks. 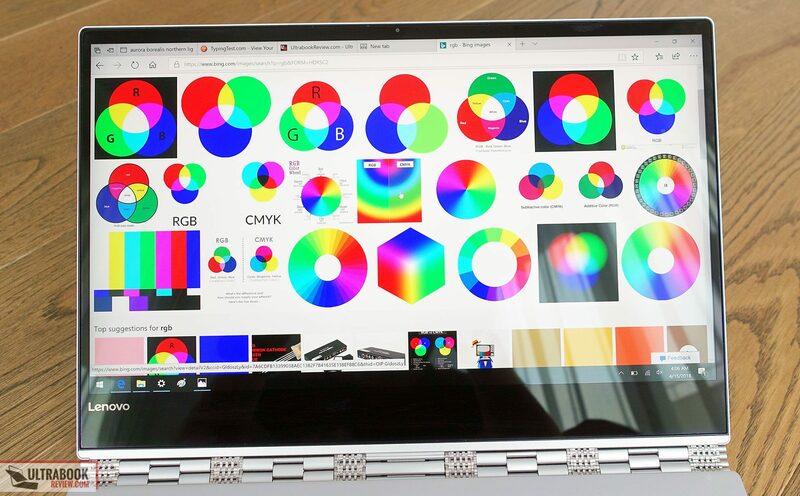 This Yoga 920 falls within the former category, as you can see in the pictures below. 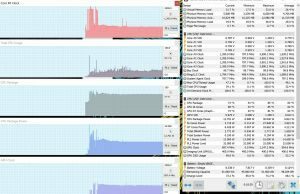 As a result, performance in applications that put a continuous high load on the CPU/GPU suffers. 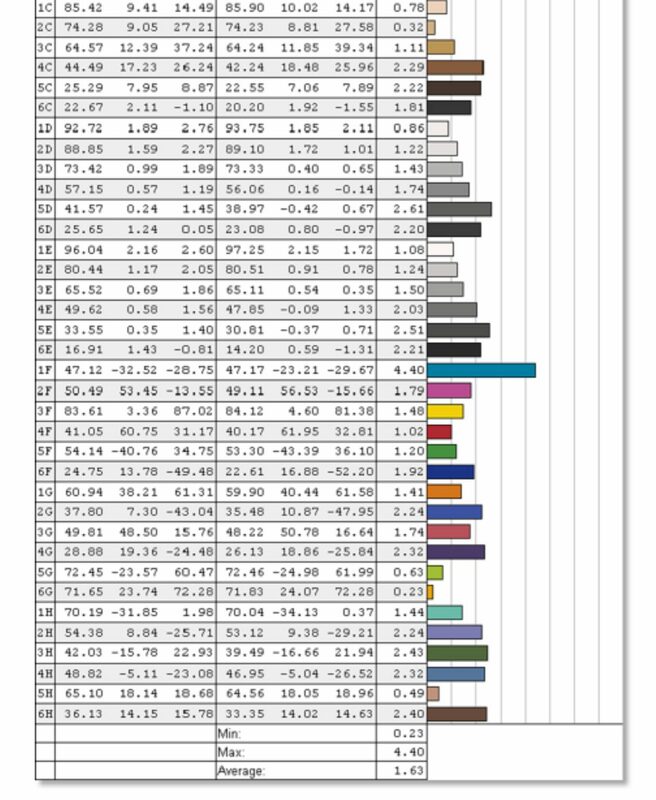 Benchmark results suffer as well. 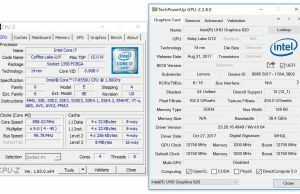 For instance, with Cinebench, while initially the laptop scores around 550 points in the CPU multi-core test, this will eventually drop to the 470-490 range after a few runs, when the laptop heats up, which suggests the cooling solution is not properly optimized for the platform’s full potential. 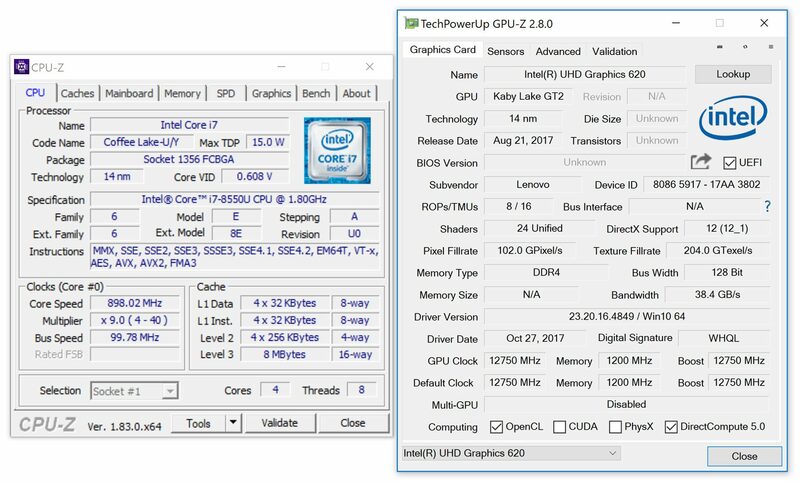 That comes to no surprise, as it hasn’t changed from the Yoga 910 and the quad-core KabyLake Core Us require more power than the older KabyLake dual-cores when running at Turbo Frequencies. 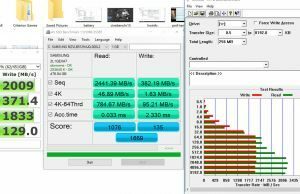 x264 HD Benchmark 4.0 32-bit: Pass 1 – 148.31 fps, Pass 2 – 32.48 fps. 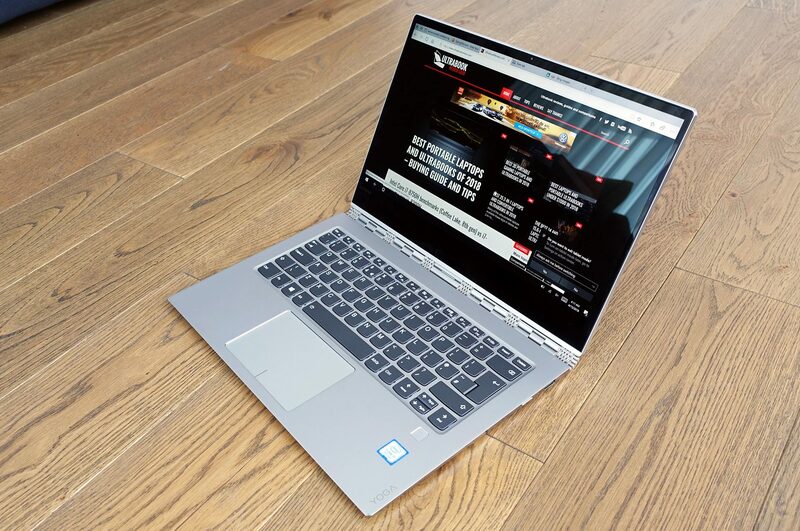 All in all, if you’re looking for an ultraportable for demanding chores, this Lenovo Yoga 920 won’t get you the best the i7-8550U can offer in terms of performance. On the other hand, if you’re looking for a solid all-rounder, this will do well. 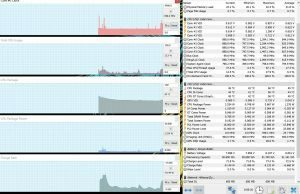 There’s of course the argument you’re not going to need the i7 for that and the more affordable i5-8250U configurations will suffice. 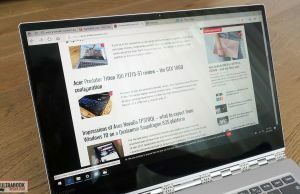 Unfortunately, Lenovo, like most other OEMs for that matter, only offer the i5-8250U models with 8 GB of RAM, which is enough for daily use today, but might not be down the road, if you’re planning to keep the computer for a few years. 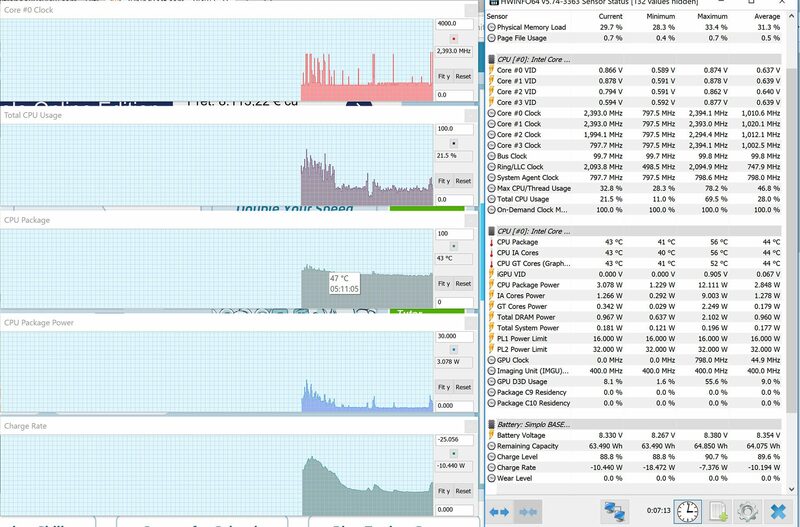 So your options are either an i5-8250 configuration with 8 GB of RAM and less storage (which can be upgraded), or the significantly more expensive i7-8550 models with 16 GB of RAM and 512 GB/1 TB SSDs. 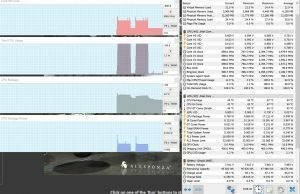 The Yoga 920 gets a two fan cooling solution, very similar to the one of the older Yoga 910, which keeps everything under control with daily use, but struggles with demanding chores, as you’ve seen above. 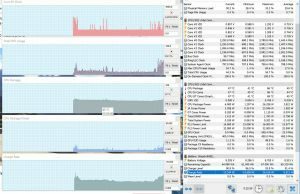 The fans are inactive with light use and only kick in occasionally with browsing and multitasking, but they’re barely audible most of the time. 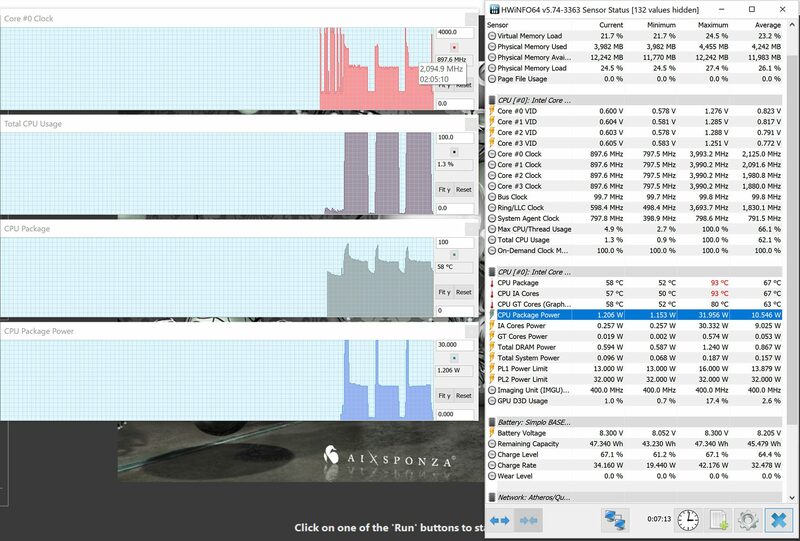 They’re in fact quiet at full-blow as well, averaging only 40-41 dB at head level with games and other taxing chores, so noise is never going to be an issue with this laptop. And nor will temperatures, for that matter. 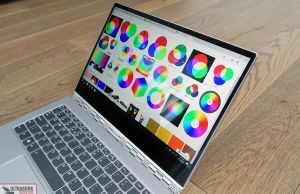 The outer shell keeps cool with daily use and only gets to low-mid 40s in games, which is a few degrees lower than rivals like the Dell XPS 13 or the HP Spectre x360. 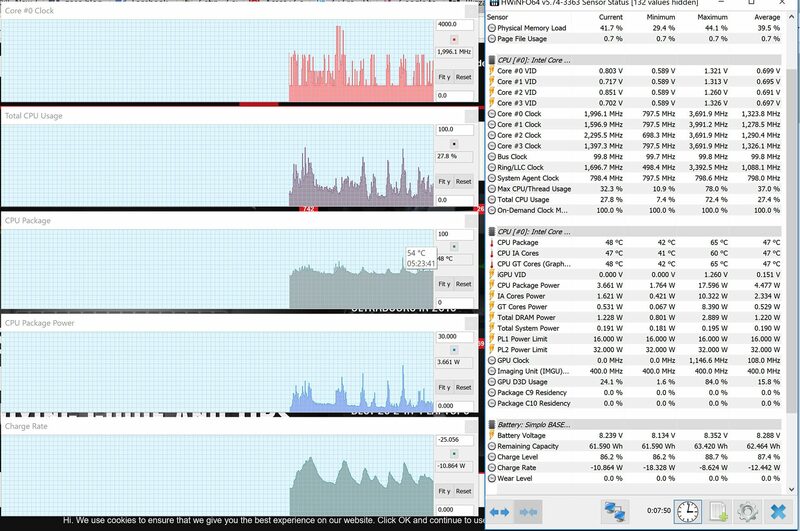 Of course, we shouldn’t forget that performance is bottle-necked in order to meet those lower temperatures, but if you’re just not using the laptop for demanding activities anyway, I’d reckon you’ll be happy with its thermal and acoustic performance. 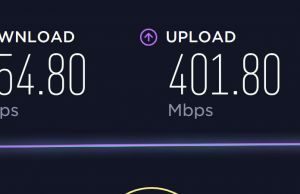 The Yoga 920 also comes with Constant Connect, that allows it continuous Internet access (sync emails, downloads, etc) while idle, as long as it’s hooked to Wi-Fi. The speakers are placed on the notebook’s belly and they’re fairly capable. Their volume goes to up to 82 dB at head-level and the sound coming out of them is pretty nice, rich and nice, with no noticeable distortions and vibrations at high levels. 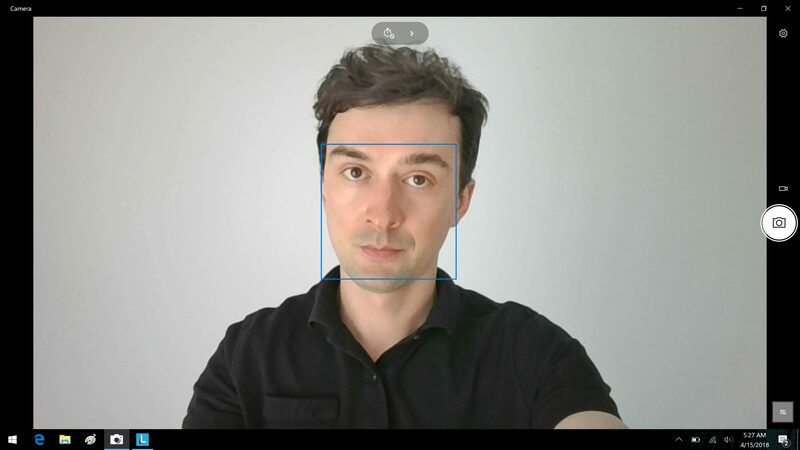 The 720p camera on the Yoga 920 is nothing to brag about, but does alright in a fairly well lit room. 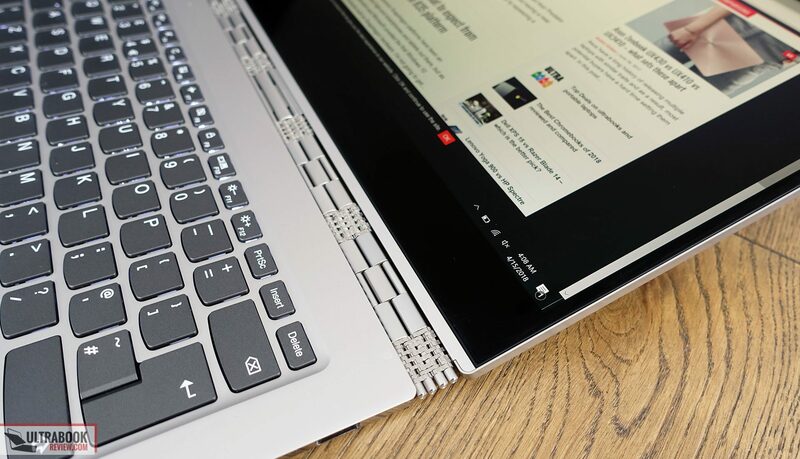 A particularity of the Yoga 920 is the dual-array of four microphones, two flanking the camera at the top of the screen, and two placed on the laptop’s front lip. 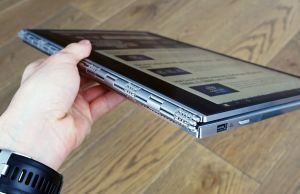 There’s a 70 Wh battery on the Yoga 920 and this is one of its main selling points, despite the fact that it’s actually smaller than the 78 Wh battery on the older Yoga 910. 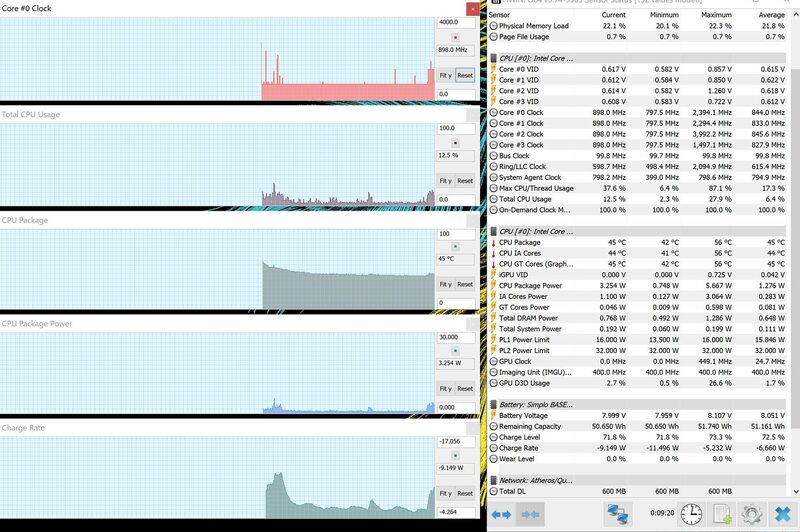 Despite that, the 920 is more efficient with most activities, mostly thanks to the KabyLake-R platform’s particularities. 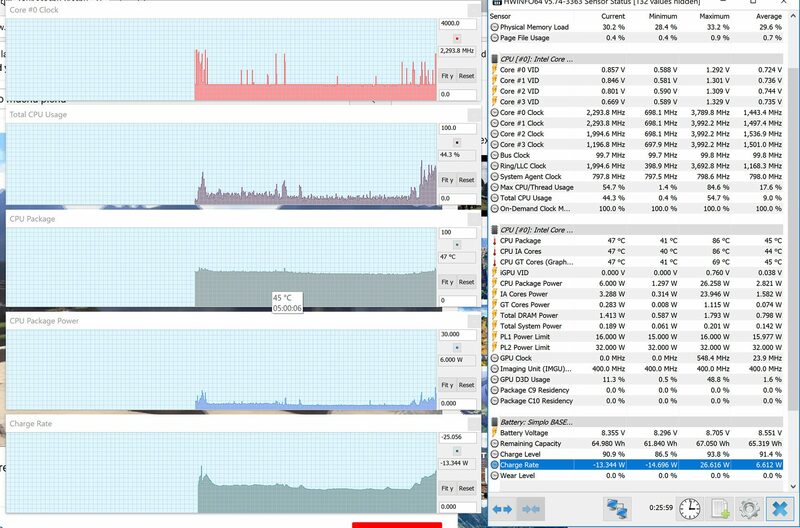 12.5 W (~5 h 30 min of use) – heavy browsing in Edge, Balanced Mode, screen at 50%, Wi-Fi ON. 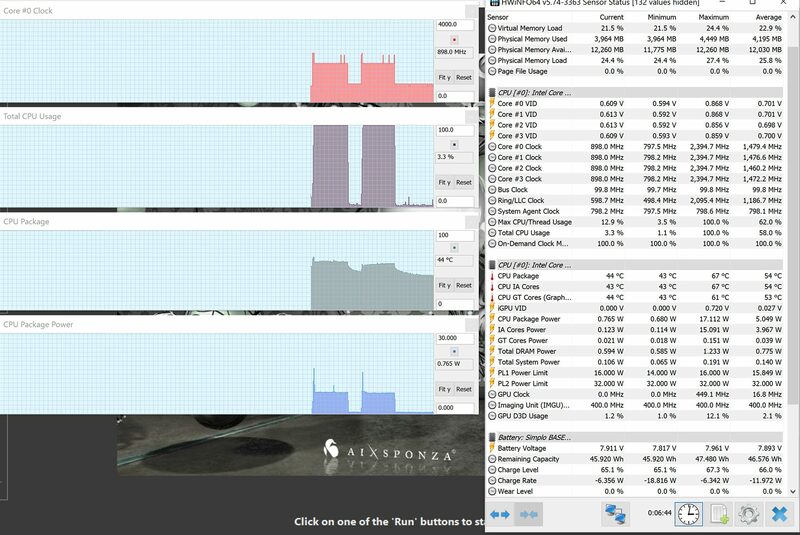 Heavy multitasking and browsing in general eats fast through the battery, but video playing is much more efficient. 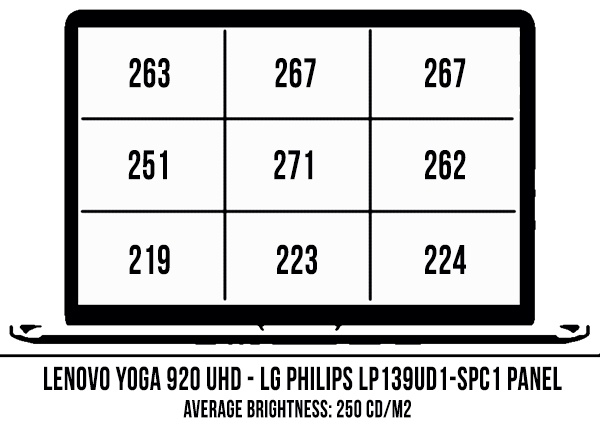 Expect the FHD screen options to last a few hours longer in most scenarios. 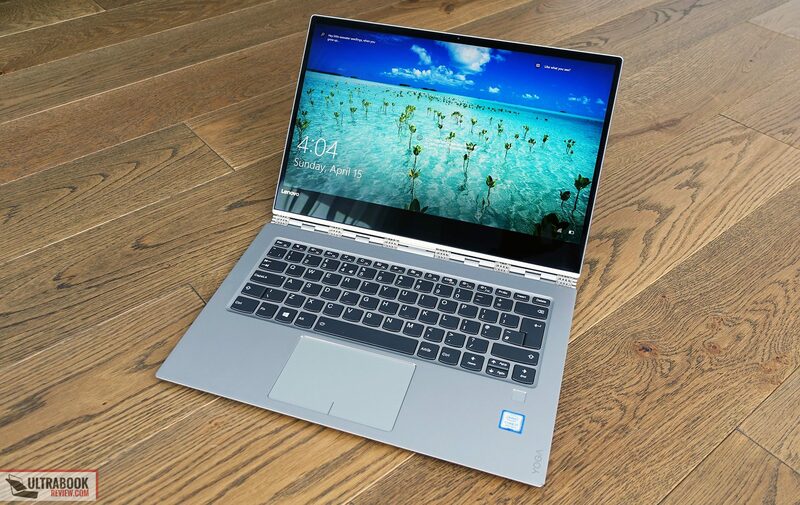 Lenovo pairs the Yoga 920 with compact 45 Wh USB-C charger. The charger weighs about .24 kg, for the European version. 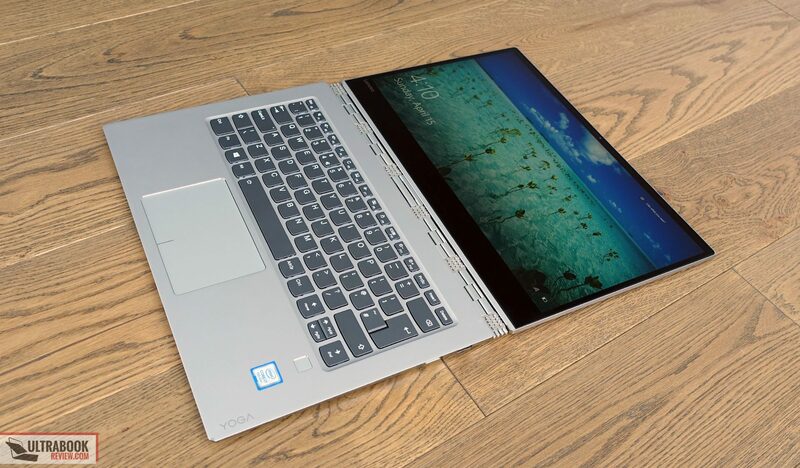 The Lenovo Yoga 920 starts at $1200 at the time of this post (April 2018) for a Core i5-8250U configuration with 8 GB of RAM, a 256 GB SSD and the FHD IPS screen, which should be the smartest buy for most potential buyers. 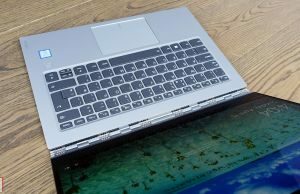 You’ll have to pay $100 extra for the Glass editions with the designer Gorilla Glass covers, like our test unit, and if you want a laptop that looks different, but interesting at the same time, this is worth the extra imo. 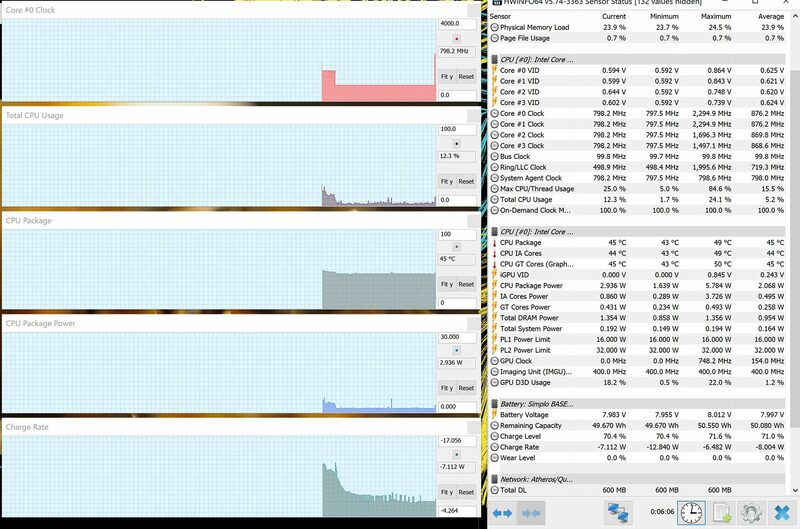 If you’re after the UHD screen, the i7-8550U processor, 16 GB of RAM and more storage space, expect to pay $1599 for the 512 GB version and $1899 for the 1 TB SSD model. 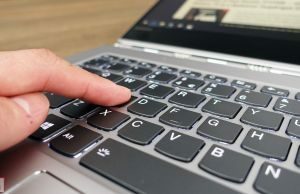 And as with all Lenovo laptops, expect to pay more if you’re not in the US, like north of 2000 EUR for the high-end versions over here in Europe. Follow this link for updated info at the time you’re reading the article. 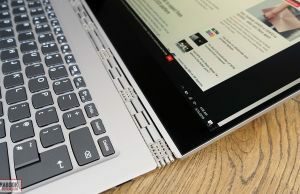 The solid build quality, dual TB3 ports, slightly bigger screen with Pen support, the hardware and especially the big battery are its main selling points, while the larger and heavier format, the performance limitations in demanding loads, as well as the typing experience (at least in my case) might be deal breakers for some of you. They shouldn’t be for the average user though. 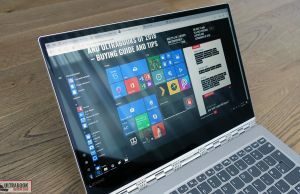 However, the casual buyer might find the Yoga 920 a little expensive, but there’s a good chance there will be good discounts down the line. 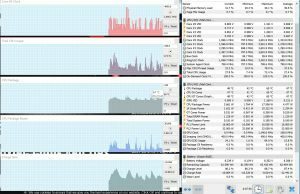 Asus Zenbook UX370 – smaller and lighter – 2.4 lbs, similar performance issues, more affordable – $1400 for an i7 configuration with 16 GB RAM/512 GB SSD. And there’s a longer list of solid convertible ultraportables in this dedicated article. 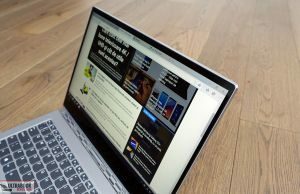 That’s about everything I have to share about the Lenovo Yoga 920. It’s a solid contender in its class, albeit a little expensive, although I wouldn’t mind paying extra for that bigger battery and screen. Too bad the keyboard doesn’t play well for my taste. 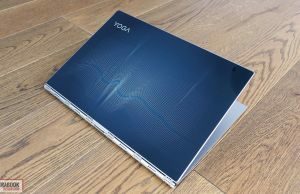 Anyway, let me know what you think about the Yoga 920 and get in touch in the comments section if you have any questions or anything to add to this review.